Emerging evidence shows that red yeast rice, bergamot, berberine, artichoke, soluble fiber, plant stanols and sterols may offer an alternative to prevent CV events by lowering LDL-C. Although statins have proven efficacious in reducing cardiovascular events, not every patient can tolerate them because of severe muscle pain. 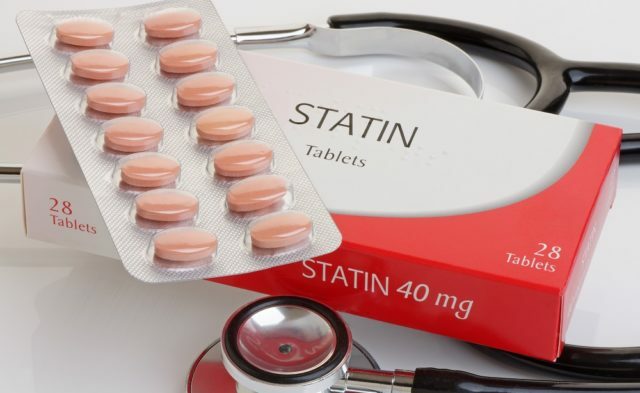 International experts have demonstrated that nutraceuticals in combination with statins or monotherapy can help some statin-intolerant patients achieve their lipid goals. 1. Banach M, Patti AM, Giglio RV, et al, for the International Lipid Expert Panel (ILEP). The role of nutraceuticals in statin intolerant patients. J Am Coll Cardiol. 2018;72(1):96-118. 2. Cicero AFG, Colletti A, Bajraktari G, et al. Lipid-lowering nutraceuticals in clinical practice: position paper from an International Lipid Expert Panel. Nutr Rev. 2017;75(9):731-767. 3. Rosenson RS, Baker S, Banach M, et al. Optimizing cholesterol treatment in patients with muscle complaints. J Am Coll Cardiol. 2017;70(10):1290-1301. 4. Cicero AFG, Fogacci F, Rosticci M, et al. Effect of a short-term dietary supplementation with phytosterols, red yeast rice or both on lipid pattern in moderately hypercholesterolemic subjects: a three-arm, double-blind, randomized clinical trial. Nutr Metab (Lond). 2017;14:61. 5. National Center for Complementary and Integrative Health. Red Yeast Rice. https://nccih.nih.gov/health/redyeastrice. Updated July 2013. Accessed August 13, 2018. 6. Cicero AFG, Derosa G, Parini A, Baronio C, Borghi C. Factors associated with 2-year persistence in fully non reimbursed lipid-lowering treatments. Atherosclerosis. 2014;235(1):81-83.